I watched the season finale of the 3rd Season of Downton Abbey last night. I was a day late and had seen spoilers on Facebook, but I was hoping right down to the last minute that Facebook was wrong. They were not. For those of you who watch this fabulous, fabulous period drama, I know you join me in mourning dear Matthew Crawley. For those of you who don't watch, isn't Mary a beautiful bride? 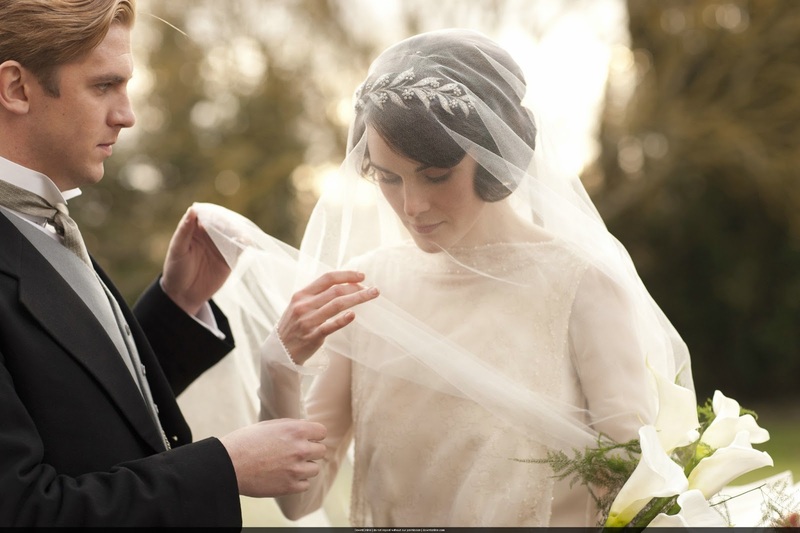 I'm seriously hoping to work with a bride who loves the 20's Gatsby-esque wedding style!